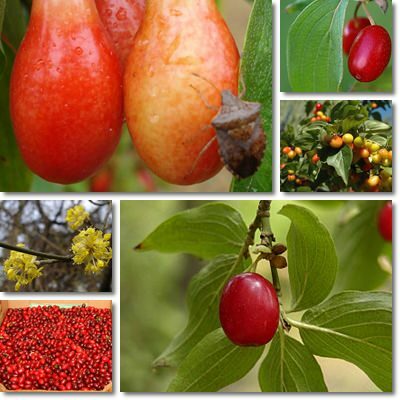 Also known as European cornel or Cornelian cherry, dogwood (Cornus mas) has only recently come to the attention of the medical community due to its impressive tonic, hepatoprotective and restorative properties. It is one of 60 other plants belonging to the family with the same name. It can be found throughout southern Europe and in Western Asia and is a staple of traditional medicine. The parts used for medicinal purposes are the berries. In other dogwood species, the bark may hold medicinal effects, while berries may be unfit for consumption. Dogwood was traditionally used to make various types of alcoholic beverages such as liquors and a fruit brandy called raki as well as jams or sweet berry sauces. More recently, dogwood berries have gained popularity as a food-medicine, boasting several out of the ordinary health benefits. Because of the great variety of species and their sometimes close resemblance, but different properties, it might be best to ask for professional medical advice when choosing any dogwood preparation. What does dogwood look like? Dogwood is a flowering plant the size of a small tree (5-10 meters tall). It has an overall bushy appearance and dark-brown bark. And although it may lose its foliage in autumn, it offers a beautiful view when in bloom, covering itself in clusters of exquisite-looking tiny yellow flowers. What do dogwood berries look like? Dogwood fruit are small, slightly elongated berries of either a bright yellow or deep red color. The latter are far more common than the first. Each berry contains one seed and is usually no more than 2 cm long. What do dogwood berries taste like? Unripe berries have a very sharp taste which deters most people from consuming them. Although still acidic, ripe dogwood berries are quite palatable and fleshy and taste like a lot like sour cherries and cranberries. They can be consumed fresh, dried, made into jams, syrups or fruit sauces. Very important: dogwood should not be confused with Jamaican dogwood, a medicinal plant with sedative properties which, if improperly used, may have serious side effects. Again, consult a medical professional when considering the use of any form of alternative medicine. 1) Remedy for dysentery and diarrhea. Dogwood has traditionally been used to treat dysentery and diarrhea due to its strong astringent action which is the result of a high tannin content. The dry mouth sensation one feels when eating quinces, persimmon, sapodilla or dogwood berries is caused by the astringent tannins shrinking or contracting tissues. This limits the discharge of fluids and represents a first step towards recovery from diarrhea or dysentery. 2) Excellent tonic. Dogwood berries boast excellent restorative properties due to their high mineral content. Being rich in calcium, potassium, copper, iron, manganese, zinc and a good source of sodium, dogwood promotes recovery following illness (for example, drinking dogwood berry juice can speed recuperation after a more severe diarrhea episode). 3) Natural hepatoprotective. Research on the properties and health benefits of dogwood has found that regular consumption of the berries improves liver function by exercising a strong hepatoprotective action. 4) Suports kidney function. According to traditional Chinese medicine, dogwood is an efficient diuretic. This means it stimulates urine production, a process which supports normal kidney function, helps reduce high blood pressure (hypertension) and promotes detoxification. 5) Impressive antibacterial and antiviral properties. Dogwood is thought to be ideal for cold and flu prevention due to the fact that it contains high amounts of vitamin C, a potent natural anti-inflammatory, antiviral and antibacterial agent. In order for one to enjoy such health benefits, dogwood berries must be consumed raw (cooking heat destroys vitamin C). 6) Rich antioxidant content. Last but not least, like most berries, dogwood fruit were found to contain generous amounts of antioxidants which offer protection against free radical damage from free radical molecules and protect against chronic disease. Conclusion. Overall, dogwood makes a great addition to our diet as a result of its generous vitamin and mineral content. Not only does it support liver and kidney function, but it also helps soothe the mucous membranes at the level of the gastrointestinal tract, clear infections and restore health. If consumed raw, dogwood berries add to our daily antioxidant intake and, by doing so, protect against free radical damage and associated health problems. Traditional medical practices also recommend it as a natural anti-diabetic and antihistamine agent, but such claims have yet to be proven. But remember to always ask a professional to help you correctly identify various dogwood species and consult with your doctor before resorting to any form of alternative treatment.